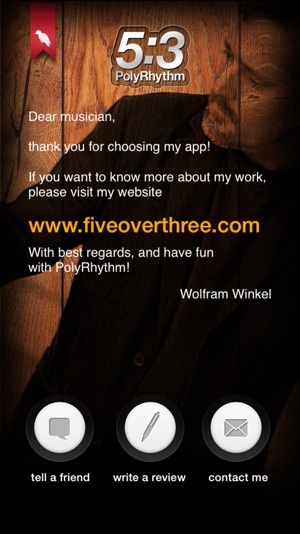 PolyRhythm was developed for all professional musicians, regardless of instrument, whether composing, performing or conducting! 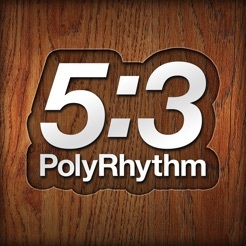 The app produces the most common rhythmic overlays (such as 5:3) using two different clicks accompanied by a display of the score. Available rhythmic overlays range from 3:2 to 13:4 on a systematic basis with decadic BPM-steps for best study results. A regular metronome (also with decadic BPM-steps) is included. 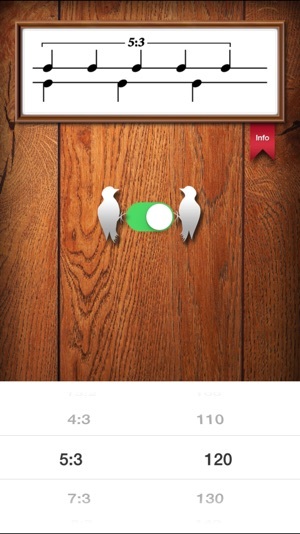 All sounds are based on loops in order to achieve maximum accuracy. Please make sure that the Ring/Silent switch of your iPhone, iPod touch or iPad is in ring mode (otherwise there will be no sound). 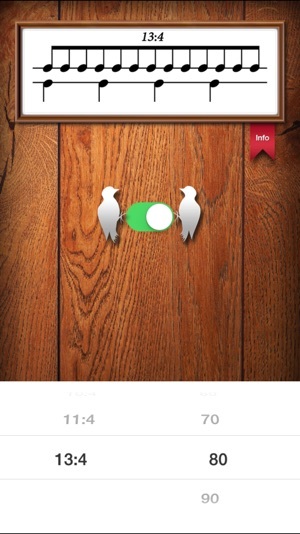 What an Inspiration to work with Wolfram Winkel and his App! 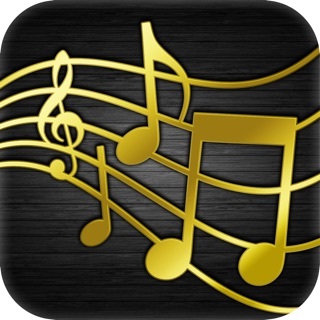 An App that every musician should have and use! Nicht nur für Berufsmusiker ein absolutes "MUST HAVE"
Sehr einfach zu bedienendes Supertool. Wer sich, unter Anderem, mit komplexen Rhythmen, bzw. Polyrhythmen beschäftigt, sich mit zeitgenössischer Musik auseinander setzt, kommt um diese APP nicht herum. Gratulation an den Entwickler für seine wissenschaftliche Arbeit.